By Jon Greenberg on Tuesday, October 10th, 2017 at 5:13 p.m. The National Rifle Association called for a review of regulations on the sales of the "bump stock" devices. The devices were used by the Las Vegas gunman to rapidly fire semi-automatic rifles like machine guns Oct. 1. The debate over gun control revives after each mass shooting. The slayings in Las Vegas brought top National Rifle Association executive Chris Cox to Fox News Sunday. The NRA had called on the government to immediately review whether bump stocks comply with federal law. Bump stocks are the devices that allow a semiautomatic weapon to closely mimic full automatic firing and were found on 12 of the shooter’s rifles. On other ideas for gun regulation, Cox, executive director of the NRA’s Institute for Legislative Action, remained skeptical. Both Cox and Fox News host Chris Wallace raised points that come up often in discussions of gun policy -- and deserve a closer look. Cox: "ATF did approve (bump stocks) under Barack Obama." This is largely accurate, with the caveat that the Bureau of Alcohol, Tobacco, Firearms and Explosives actually said the bump stock "is not regulated as a firearm under the Gun Control Act or the National Firearms Act." Whether that qualifies as approval is in the eye of the beholder, but we found two occasions in which ATF decided it could not regulate bump stocks during the Obama administration. 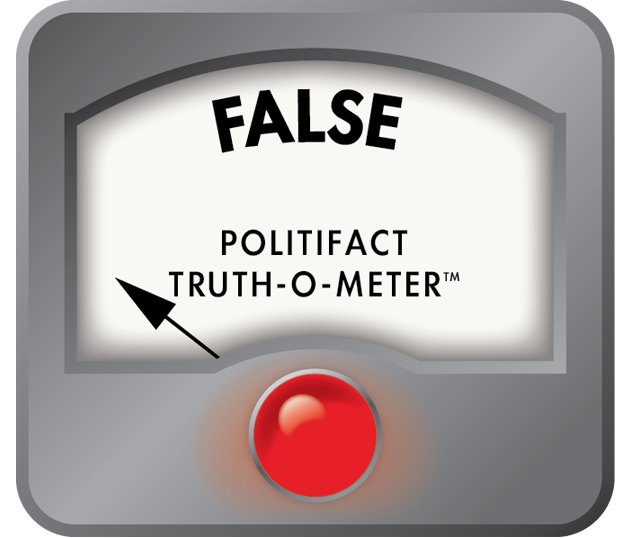 In 2010 and 2012, ATF told two separate manufacturers that there was no prohibition on bump stocks because "the stock has no automatically functioning mechanical parts or springs and performs no automatic mechanical function when installed." This meant the stock is a firearm part, not a firearm itself, and not subject to regulation. Cox: "Congress banned semi-automatics and high-capacity magazines for 10 years. And Bill Clinton's own Justice Department said it had no impact on crime." It’s not accurate to say Clinton’s own Justice Department reached such a definitive conclusion. When Congress passed the 1994 assault weapons ban, it called for a study to assess the impact. That work came in several installments from 1997 to 2004 (when the ban expired), giving advocates on both sides material that they can cherry-pick to prove their point. The reports were funded through the Justice Department but were done by outside researchers and came with warnings that say they don’t reflect the position or policies of the department. Under the 1994 law, ATF ultimately identified 118 models and variations that were subject to the ban, as well as most ammunition magazines holding more than 10 rounds, called large-capacity magazines. Many weapons and magazines fell outside the law’s restrictions. The NRA press office staff sent us statistics showing the minor role assault weapons play in crime. That is accurate, but to vet Cox’s claim specifically, we have to go back to the Clinton years. The NRA looks at the 1997 version and highlights the finding that the ban had a limited impact: "We were unable to detect any reduction to date in two types of gun murders that are thought to be closely associated with assault weapons, those with multiple victims in a single incident and those producing multiple bullet wounds per victim." The report cautioned that it had only one year of post-ban data to work with, and all findings were preliminary. It also found "that the ban contributed to a 6.7 percent decrease in total gun murders between 1994 and 1995," but that too was subject to the same warning that it was too soon to tell what was going on. The final report paints a different picture. Calling the results "mixed," the authors wrote, "the share of gun crimes involving assault weapons declined by 17 percent to 72 percent across the localities examined for this study." But at the same time, there was a growing use of other weapons using large-capacity magazines, or LCM. "The failure to reduce LCM use has likely been due to the immense stock of exempted pre-ban magazines, which has been enhanced by recent imports," they wrote. The large number of grandfathered weapons and magazines meant the law’s impact would unfold gradually, so the authors warned against expecting too much: "Should it be renewed, the ban’s effects on gun violence are likely to be small at best and perhaps too small for reliable measurement." Ultimately, the reports (not from the Justice Department) suggest that the ban might have reduced some crimes a bit, but for many reasons, firm conclusions were not possible. That’s hardly the clear finding Cox suggested. Cox: The Social Security Administration’s "definition of a mental disorder was someone who asked for help handling their finances. That is not a prohibitive category, Chris, and it shouldn't be a prohibitive category." Cox made it sound as though all it would take is someone asking for help with their personal finances to get swept up by a Social Security policy of sharing names for background check purposes. The process is more complicated. Under President Barack Obama, the agency issued a rule that stepped up its efforts to pass the names of those who lack the mental capacity to "manage his or her own affairs" to the National Instant Criminal Background Check System, which determines whether someone can legally buy a weapon. Two disability law professors said that the mental challenges a person must have to qualify for those benefits go well beyond simply managing their money. "You don't get to the question of can you manage your money until you get to the determination that somebody is sufficiently impaired by their illness that they can’t work," said Pace University law professor Gretchen M. Flint. The Social Security Administration’s guidelines state that to qualify for benefits, "your mental disorder must result in ‘extreme’ limitation of one, or ‘marked’ limitation of two, of the four areas of mental functioning." Those areas include "understand, remember, or apply information; interact with others; concentrate, persist, or maintain pace; and adapt or manage oneself." And managing oneself includes "the abilities to regulate emotions, control behavior, and maintain well-being in a work setting.... distinguishing between acceptable and unacceptable work performance." Robert Dinerstein at American University said, " You don’t get those benefits unless you can demonstrate some significant impairment." Importantly, the rule also applied only to people "who have been determined by a court, board, commission or other lawful authority as a result of marked subnormal intelligence, or mental illness, incompetency, condition or disease to be a danger to himself or to others, or who lacks the mental capacity to contract or manage his or her own affairs." The NRA said Cox was correctly describing problems with the policy when it first emerged. Originally, it was much broader and touched many more people. That’s not how the rule ended up. The final and narrower,rule for the most part would identify the same people who would have been in the system regardless. Cox got his facts wrong. He said the government’s definition of mental disorder was whether they asked for help managing their finances. The official guidelines and two experts in disability benefits say the definition goes well beyond that. The Social Security Administration’s "definition of a mental disorder was someone who asked for help handling their finances. That is not a prohibitive category." Wallace: Charleston, S.C., murderer Dylann Roof "got (his) gun because the background check wasn't complete in 72 hours even though he would have failed that background check. ... couldn't it be four days or five days and not three days and he gets his gun?" Wallace pressed Cox on whether a longer waiting period might prevent gun sales to people who shouldn’t get them. The Dylann Roof example was not the best fit. Roof got his gun because mistakes happened. There’s no sign that a few extra days in the waiting period would have made any difference. A little over a month before he tried to buy his weapon, Roof had been arrested on drug charges. The police record showed that he admitted that he had drugs on him. That alone would have disqualified his application to buy the weapon he used to slay 12 people at a black church. But the report ended up in the wrong place. The detailed arrest report was in one jurisdiction, while the legal charges were processed in the jurisdiction next door. Following standard procedure, the FBI examiner checked with the latter, but never connected with the former. Roof’s application was marked as delayed/pending, but it wasn’t denied, and by law, the gun seller could let Roof have his gun after three days. The FBI has 90 days to continue researching applications. It did not discover the mistake by the time Roof murdered the men and women at the church more than 60 days later. The FBI said if the public wants fewer errors, the system needs state and local agencies to do a better job with their records, better information technology and more people to process applications. Charleston, S.C., murderer Dylann Roof "got (his) gun because the background check wasn't complete in 72 hours even though he would have failed that background check. ... couldn't it be four days or five days and not three days and he gets his gun?" Cox: "I take Dianne Feinstein at her word when she says that if she had 51 votes in the Senate for Mr. and Ms. America, turn in all of your guns, they would do it." This is taken badly out of context from an interview about assault weapons, not all guns, so we rated it False. Feinstein was a driving force behind the 1994 federal assault weapons ban, which did not apply to any semi-automatic weapons made before the ban’s effective date Sept. 13, 1994. 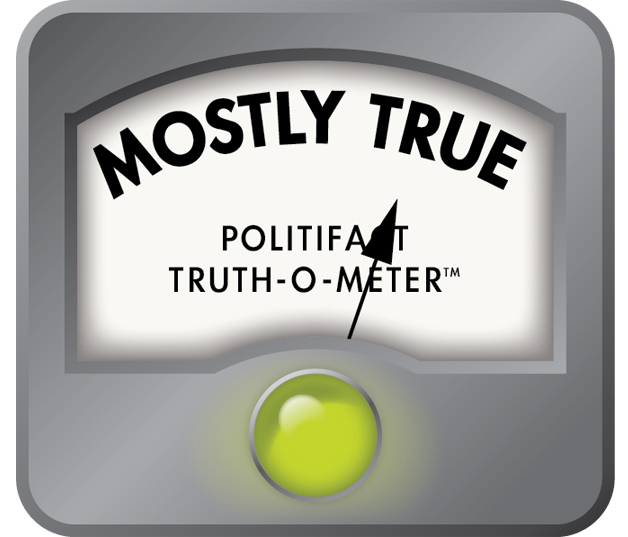 In a Feb. 5, 1995 segment on CBS News’ 60 Minutes, correspondent Lesley Stahl cited government estimates that as many 1.5 million weapons were in circulation due to the exception carved out in the law. Stahl said Feinstein told him in an interview that she didn’t want that, but had done the best that should could. "If I could have gotten 51 votes in the Senate of the United States for an outright ban, picking up every one of them, ‘Mr. and Mrs. America, turn ‘em all in,’ I would have done it," Feinstein told Stahl. "I could not do that. The votes weren’t here." In an interview on Fox News Sunday.